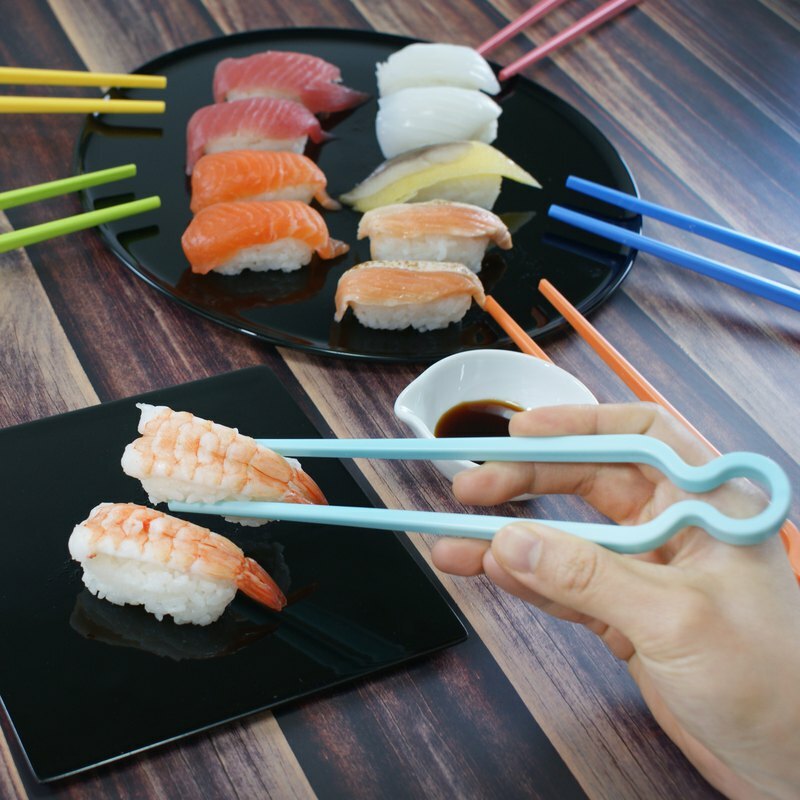 **[4U4U] 6 into ABS learning chopsticks / snack clip Auxiliary Chopsticks / Snack Clip** https://c1.staticflickr.com/1/896/27531275728_0492e91e59_c.jpg https://c1.staticflickr.com/1/871/26531011007_6168ab7bb0_c.jpg Traveling with good partners, chopsticks/clips are suitable for all kinds of exotic dishes, lightweight, durable and not dirty, but also able to practice holding chopsticks, also suitable as an auxiliary chopstick for the elderly. The colorful colors seem to make everything pleasing, and holding it food adds to the deliciousness, and the appetite improves. /Features/ 1. Travelers can carry around with them. The multi-functional and non-slip design can easily pick up any food. 2. When using 3C products and parties, snacking is not afraid of soiling your hands and sticking around, so that you can maintain your elegance. 3. People who are learning to hold chopsticks can easily learn to hold chopsticks skills through the use of auxiliary functions. 4. For older people whose hands are less able to apply force, as a supplementary chopsticks, it is easier to pick up food. /specification/ Quantity: 6 colors Material: ABS Heat resistance: 100°C Colors: Red, Orange, Yellow, Green, Blue, Aqua Blue Size: 20 cm long Weight: 15g/pcs Washing method: Use food cleaner or dishwashing agent to gently scrub and then place in a cool and dry place. Storage conditions: Please keep away from direct fire or direct sunlight. Manufacturing: Taiwan /colour/ https://c1.staticflickr.com/1/902/39592807110_d0899f28f9_c.jpg **Red Red** https://c1.staticflickr.com/1/900/26531011527_d89cf755b7_c.jpg **Orange Orange** https://c1.staticflickr.com/1/887/27531275058_e1ba5579f6_c.jpg **Yellow Yellow** https://c1.staticflickr.com/1/868/39592807400_55377fcd41_c.jpg **Green Green** https://c1.staticflickr.com/1/812/27531275598_fdab685f4c_c.jpg **Blue Blue** https://c1.staticflickr.com/1/801/27531275268_1016290321_c.jpg **Blue Light Blue** ※ Since the screen of the product is slightly colored, please refer to the color of the actual shipping product.